Newlyn Art Gallery & The Exchange offers a wide and varied exhibition programme across our two sites, presenting contemporary work in all media by regional, national and international artists, with a supporting programme of events. The two venues are just a 2km walk apart, along the promenade between Newlyn and Penzance. The Official Tourist Board online visitor guide to Cornwall, UK. Everything you need to know; What’s on, Where to stay, Things to do, Cornwall maps, guide to beaches and how to get here. The Cornwall Sustainable Tourism Project (CoaST) work with everyone involved in tourism in Cornwall to ensure tourism delivers social, economic and environmental benefit to Cornwall, as well as a fantastic holiday for all our visitors. The Cornwall and West Devon Mining Landscape World Heritage Site is the largest industrial World Heritage Site in the UK: 10 Areas, 200 years of innovation, exciting attractions and an amazing landscape across Cornwall and west Devon. Miracle has been touring original, inventive theatre across the UK since 1979. It is one of the South West’s most distinctive voices. Its projects are collaborative, bringing together artists, actors, musicians, writers and makers from around Cornwall to create work with a unique offbeat style, a joyful use of language and an immediate visual appeal. WildWorks are the UK’s leading producer of landscape theatre. WildWorks is a theatre company for people who don’t think they like theatre. The work breaks down barriers between artists, audiences and participants. It is priced and located in ways that make the work easily accessible. Kneehigh are a Cornwall based theatre company with a local, national and international profile. For over 30 years we have created vigorous, popular and challenging theatre and perform with joyful anarchy. They work with an ever-changing ensemble of performers, artists, technicians, administrators, makers and musicians, and are passionate about our multi-disciplined creative process. RIO are a Social Enterprise working with young people to make change happen. They offer services and products to schools, local authorities, government departments and national partners which create real and lasting improvement. Krowji, an up-cycled grammar school in Cornwall’s former industrial heartland, has provided an invaluable workspace for hundreds of creative businesses since 2005 and continues to grow. It’s home to a vibrant creative community which currently includes painters, jewellers, furniture makers, ceramicists, textile artists, web designers, theatre companies and musicians as well as several of Cornwall’s key creative sector agencies such as Cultivator & Creative Skills, FEAST, Carn to Cove , Cornwall Music Network, Cornwall 365 and Cornwall 365 What’s On , all of which are part of umbrella organisation Creative Kernow. 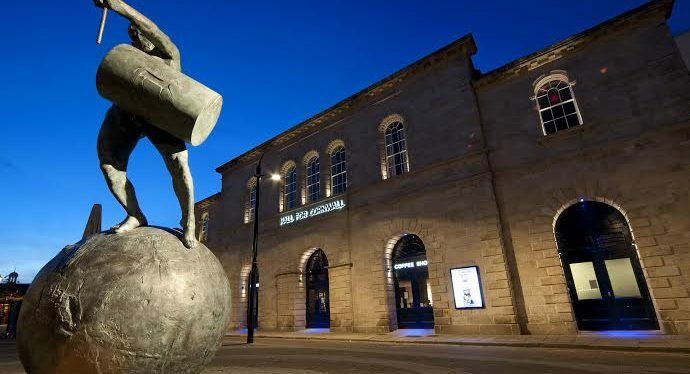 Hall for Cornwall is a unique rurally-located theatre which delivers a wide-ranging arts programme that includes theatre, music, dance and comedy. The theatre is a registered charity and has a Royal Patron, HRH Prince Edward, the Earl of Wessex.